The app will show you where you are and what Qard offers are available nearby. It can even route you to a nearby venue. Get a feel for the venue and see what offers are available. 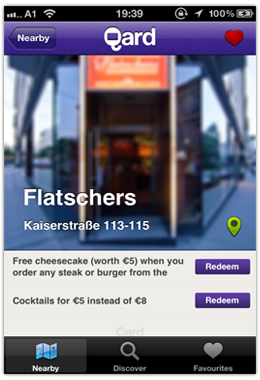 You can add the venue to your favourites, get a route to it and redeem the offer itself rigth from your phone. 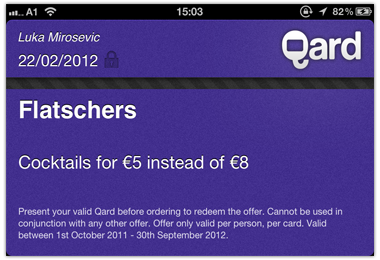 Whenever you're at a venue which has Qard offers, just redeem them right then and there using your phone. Just show your phone when you pay. 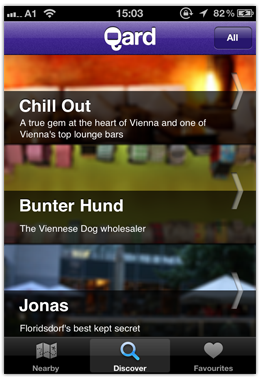 Discover new venues by browsing through them in the Qard app. Find something new every day. 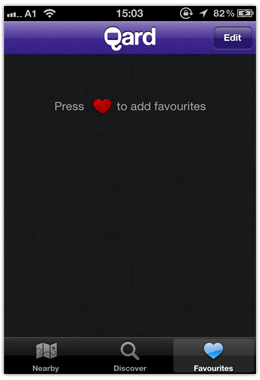 Keep track of your favourite venues for easy access to new offers and instant redeeming.